Zoom is a cloud video conferencing software that allows users to hold meetings and online training. Users can also share their screen whether they’re using a desktop, laptop, tablet, or a mobile device. We compiled Zoom user reviews from our website and around the web and determined that it has generally positive ratings. We also shared its available pricing options. Ready to try Zoom? Get a free demo. Zoom offers four plans: Basic (Free), Pro ($14.99/host/month), Business ($19.99/host/month), and Enterprise ($19.99/host/month). 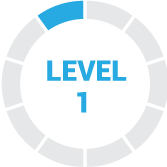 Users can host up to 100 participants. 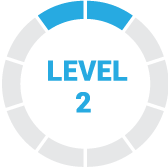 Paid plans can be expanded up to 500 participants for a fee ranging from $34.99/month to $259.99/month (per host) for 200, 300, or 500 participants. Users who gave Zoom a positive review said that the platform is very different compared to other conferencing applications. They mentioned that it offers great quality for conferences and that it is easy to create a conference room where people can easily join the meeting. 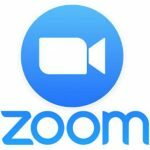 Users who gave Zoom a negative review said that the software does not have the ability to control spam messages in the chat room, which makes important notes difficult to be found. They also mentioned that there are times when a conference attendee would get disconnected when the internet connection is slow since it can not support the bandwidth needed for a video call. “Zoom has been the best application for video and audio conference for me. It provides the option to speak to anyone online just via sharing the Zoom Meeting ID or call-in number for that meeting. Check out the list below of some of Zoom’s features. Best Video Conference Software in 2017: Zoom vs Join.me vs GoToMeeting — Video conference applications help companies with remote employees or business owners who need to conduct webinars or online coachings to make remote communication easier. In this guide, we compare Zoom vs. Join.me vs. GoToMeeting to give you an idea about which of the best video conference software would suit your needs in terms of features, price, and customer support. The 6 Best Business Coaching Services for 2018 — Starting a coaching business has become easier with the advent of video conferencing platforms. If you are thinking of joining the fast-growing coaching industry, you should check out this article that discusses the six best coaching services for the year. A Host initiates and manages the conference call. This person should have an account with Zoom in order to have a virtual conference room. A Participant is an invitee in a meeting set by someone with a host license. A participant is not required to have a Zoom account to join a meeting. Where can I request for a demo? Submit your information here, and one of Zoom’s product specialists will contact you to set up a live demo. Zoom is a subscription-based service, which means that your plan renews every month or year (depending on the term you choose). You can cancel your subscription any time during your plan term to cancel the auto-renewal of your subscription. Not sure if Zoom is the right fit for you? Just wish I knew they existed. I’ve used too many products and this has by a long measure been the best. I’ve been a word of mouth preacher trying to convince everyone to just make the switch to them. From desktop it’s very easy to schedule meetings and send invites from the calendar of any vendor – Gmail, Outlook, etc. Dial in is a snap from your phone’s calendar, with a one-touch dial and keycode entry. Mobile app is hard to use when it comes to starting a meeting you’ve scheduled. Launching video and the interface is not intuitive enough to figure it out. Much easier from desktop. The cost for an account is something to consider. Its price is considerably more than many freeware applications such as join.me. Zoom is a real charm to use: video and audio quality are much better than Skype’s, for instance, and there are also a few very nifty features (integration with other systems, mainly) that make the tool a real must for businesses. No drawbacks whatsoever. Maybe the user interface -when a call has started- could be made easier on the eye. Their pricing policy is fair, but if you intend to use it extensively, you should double check pricing and calculate your ROI, because it might become quite expensive. We use Zoom multiple times a week in our online distance learning school environment. We use it for our weekly team conferences with the staff and the teachers. Teachers also use Zoom to connect with students for online classes. The meeting owner will send an invitation email to participants, which includes a link and a code to connect to a specific chat room. It is very handy to share the screen and visually explain things. The price is affordable, it makes it attractive to customers. It give you flexibility to use it on diverse devices, desktop computer, laptop, smartphone and tablets. You can connect with your peers basically from everywhere you have an internet connection. Generally it takes some time to learn the software. Some users may need to get acquainted with it, though it is intuitive. Once they connect with Zoom several times, it becomes easy to use it. Some users had some issues connecting their webcam when using their desktop computers or laptops. This was due more to some webcam permission access or webcam local wiring, not to the Zoom software itself. We were using Blackboard for a few years, as the license was sponsored by the Education ministry here in BC (when other provinces did not were offered this). Several years ago we found out about Zoom and since then it is the preferred communication app for our organization. I wished we would use it earlier. I’ve always found it clunky to move from scheduling to video conferencing. I typically am having a call with 1 person, so it’s not a lot of people. And, often I’ve talked with them many times before. In that case, I find myself defaulting to Skype because we have a communication thread that’s been going for some time. We’re a small team of 4, so we just bought 1 user license that’s under my name. In that case, it’s a bit confusing because they use my account and it comes up with my name whenever they use it. We’re a small nonprofit so the next price up doesn’t make a lot of sense. Want to Bundle Video Conferencing + Phones?